I’m looking for a new crew of talent to work with on some Time For Print shoots. In need of photographer, model(s), possibly hair stylist. I live just outside Cambridge so I’m looking for people from this area, as tfp work isn’t ideal to travel far! 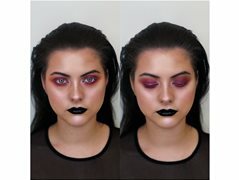 I’m a makeup artist, I have a very fashion/editorial style but would love to move into other styles and work with a team with fresh ideas. It’s Time for Print so obviously all roles will be unpaid, I just want to meet and work and get creative with new people. Qualifications preferred but not necessary. Models wanted for tfp photoshoots. Any appearance, male or female or other. Examples of your work necessary. Fashion stylist wanted for tfp photoshoots work. Stylist must bring accessories. Not too much focus on clothing but more headshot work I think.